Child Care for our youngest children is available every Sunday in age-appropriate classrooms from 8 am-noon except on the first Sunday of the month when it is available from 10 am-noon. Our care-givers provide nurture, love, and safety to our children. Child care is also available for most church events, but contact the church office if you are unsure. If you are scheduling an event at the church and wish to have child care provided (infants through grade 5), let the church office know of your needs when you are scheduling your event. A Bible based Sunday School program for kids of all ages. We will begin with the Creation story and work our way through the Bible! For children too young to participate in Sunday School (or worship), Bayside offers Play and Worship for your toddler. The children use building blocks to make a road for Jesus’ triumphant entry, they rescue dolls from Daniel's Lion’s Den, and shake blue paper to sound like the stormy seas. Through their play, they learn that God helps them when they are afraid; they can trust God. We use objects from a preschooler's everyday world for play, fun, stories, and songs. 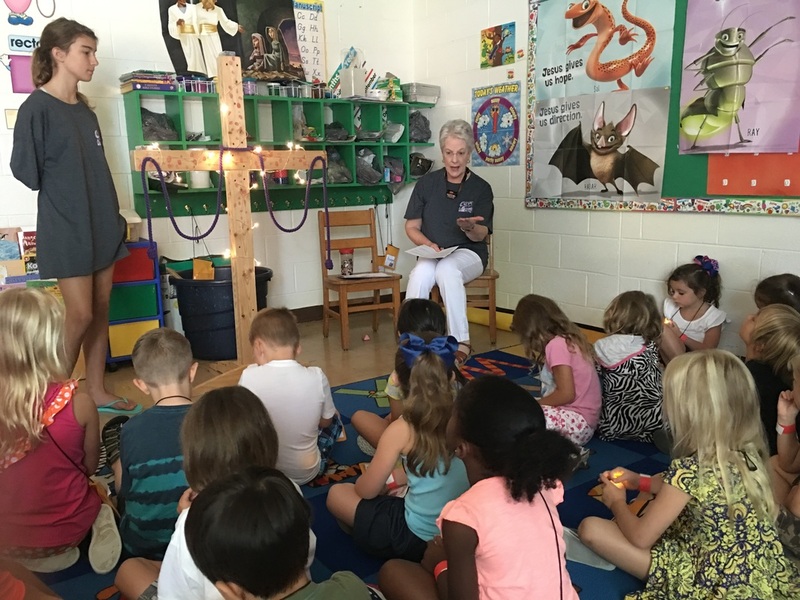 Every Wednesday evening during the months of September-May, children from kindergarten to fifth grade gather for a program called JAM, Jesus and Me. We believe that the Bible should never be boring, that worship can be really loud, and that good leaders ALWAYS care. 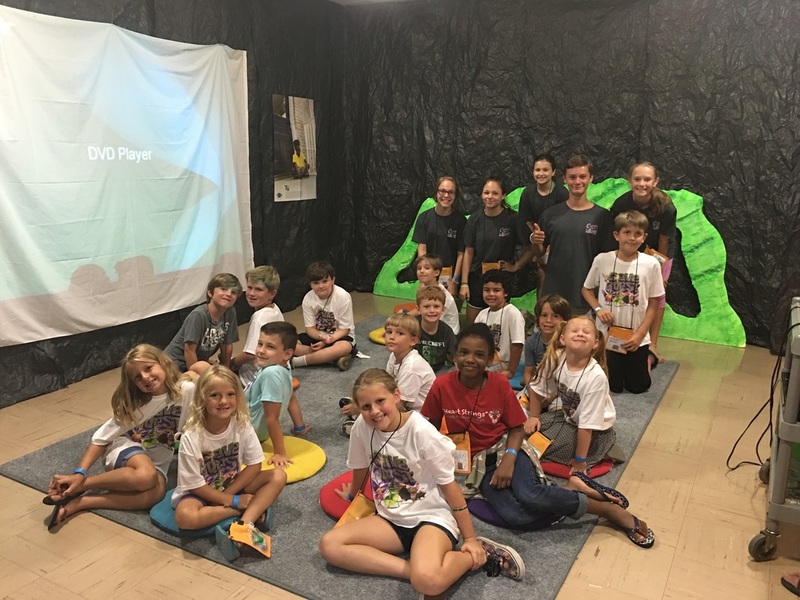 JAM is a children's ministries program where we want kids to see how God's word fits into their lives, to learn how to talk to God, and to build friendships that will last. Divided into two groups (grades K through 2 and grades 3 to 5), children will rotate through activities, music, fun, and service. First Friday: Parents’ Night Out! One of our most popular programs, First Friday provides childcare on the first Friday of the month beginning on October 7 and continuing through May 5. This program provides an evening of safe, low-cost, Christian childcare for infants through children in fifth grade. First Fridays allows parents the well-deserved time together while their children find fellowship with friends. The program is available to the community at-large; church membership is not necessary for participant. But reservations are required and will be taken on a first-come first -served basis. You can sign up at the Welcome Center, email the Director of First Fridays, Lindley Fox, lindleysnest@cox.net, 757-650-2100, or call the church office (757-460-1188). The charge for this program is $20 for one child/$25 for two/$30 for a family of 3+. Each summer Bayside invites all children from the church and the community to participate in a week of fun and learning about Jesus. Each year Vacation Bible School has a different theme. In 2016 the theme was Cave Quest. For 5 weekdays, usually the end of July, the church is transformed into a special place for children. They experience bible stories, crafts, songs, and games. Teenagers play a big part in making all the different events go smoothly throughout the week. The sessions run from 8:45 am-noon. The cost is $25 for each child and $10 for each additional child in a family. Generous scholarships are available for this program.